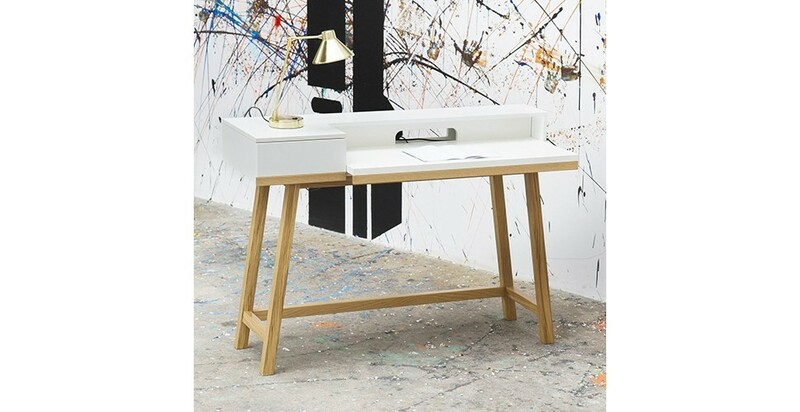 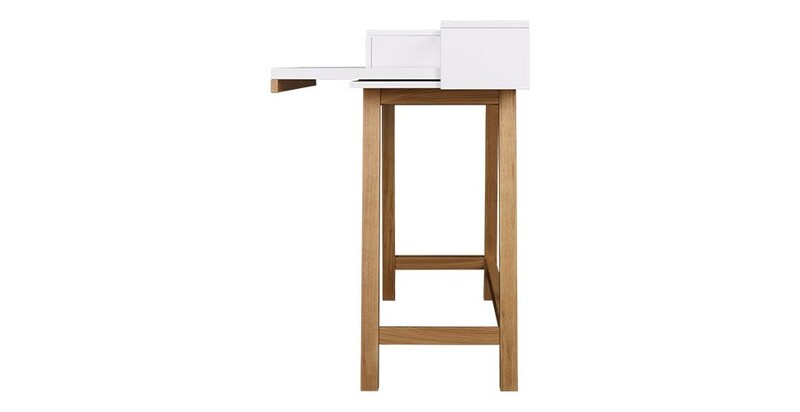 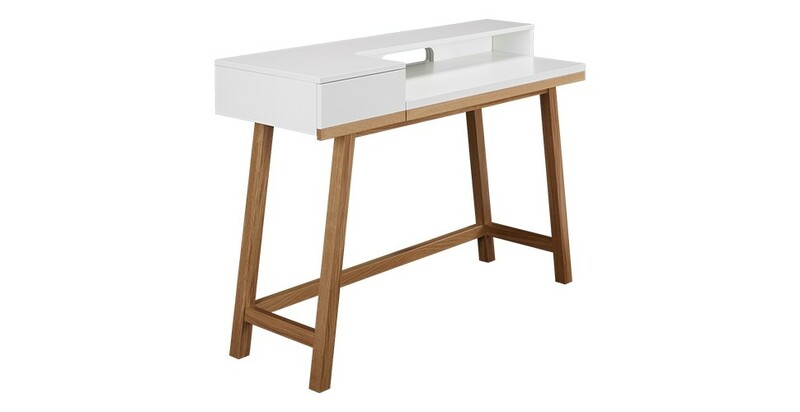 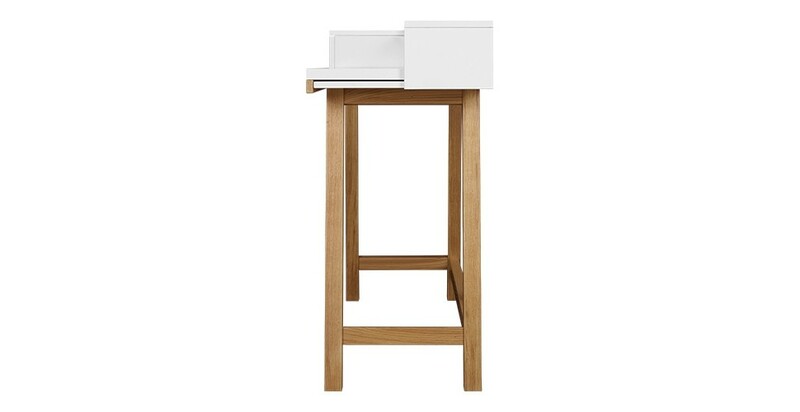 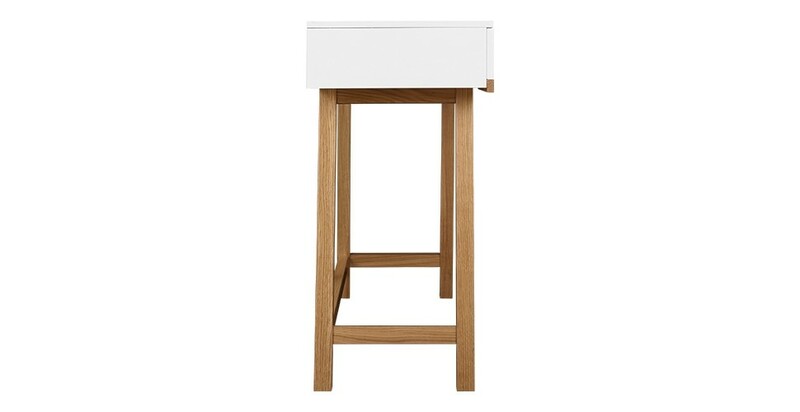 The Theo desk was designed by Habitat. 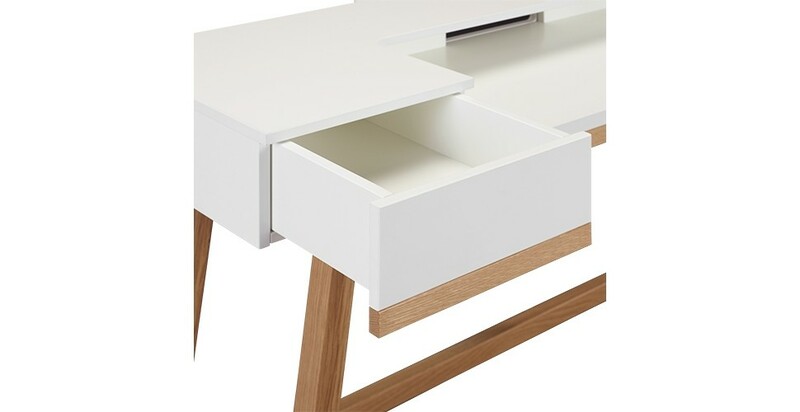 White top and storage area sit on contrasting oak legs. 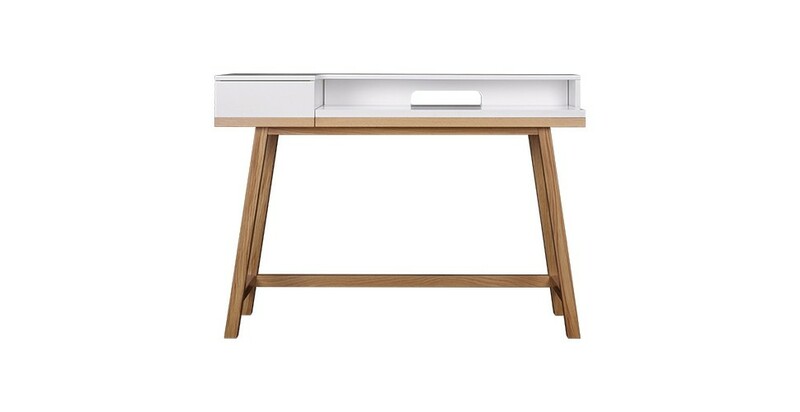 Taking inspiration from timeless and functional Scandinavian design, the desk comes with a storage area to hide unattractive cables and a with a convenient sliding shelf.